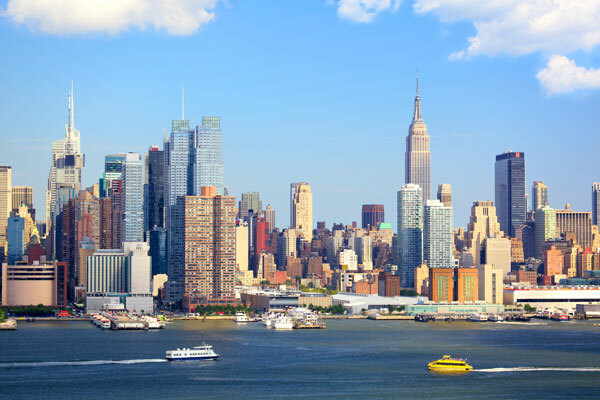 The City of Water Day Festival is an annual Waterfront Alliance event that features a variety of free activities and boat tours in celebration of New York and New Jersey waterfront. The waterfront activities fair is held on Governors Island and free boat tours depart from various waterfront locations around the city. Partnering organizations will also hold City of Water Day events throughout the city. Take a look at the “In Your Neighborhood” section of the Waterfront Alliance’s website for details. The 2017 date for City of Water Day is Saturday, July 15th. The event runs from 10:00 a.m. to 4:00 p.m..
A variety of companies and organizations offer free boat tours on City of Water Day. Rides are offered on all kinds of boats, such as ferries, tall ships, fire boats, and tugboats. If you want to take one of the free boat tours, you’ll need to reserve you tickets in advance. Boat tour reservations open in the end of June, so keep an eye on the Waterfront Alliance website for announcements. Although the boat tours are free, there is a refundable $5 reservation fee per passenger. If you show up and take the tour, the fee will be credited back to you. If you don’t check in for the tour, you’ll lose the reservation fee. One of the fun Governors Island activities is the cardboard boat race.